!!! 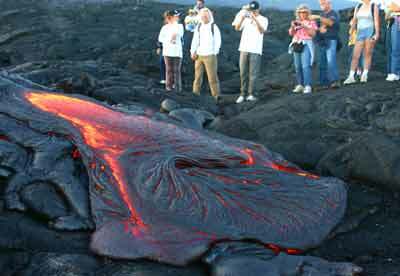 THIS TOUR IS SUSPENDED DUE TO THE NEW LAVA ERUPTIONS UNTIL FURTHER NOTICE!!! 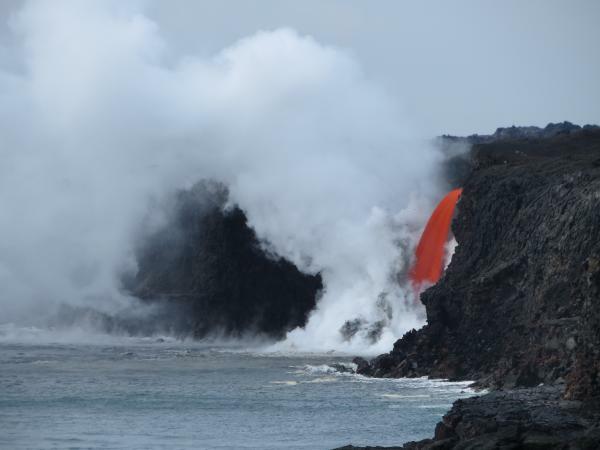 See recent lava flow videos on our Facebook page at: Bike Volcano Tours (click here). Why Hike when you can Bike then Hike to Active Lava in half the time with a Certified Guide? Join BikeVolcano.com on an incredible guided bicycle adventure to the current Active Lava Surface Flows. Our National Park Certified Interpretive guide will lead you on a bike trek approximately 7.6 miles (roundtrip) on a gravel coastal road. Then our group will hike to the active surface flows (approximately up to 4 miles hiking roundtrip, the hiking distance will vary as the lava flow constantly changes). 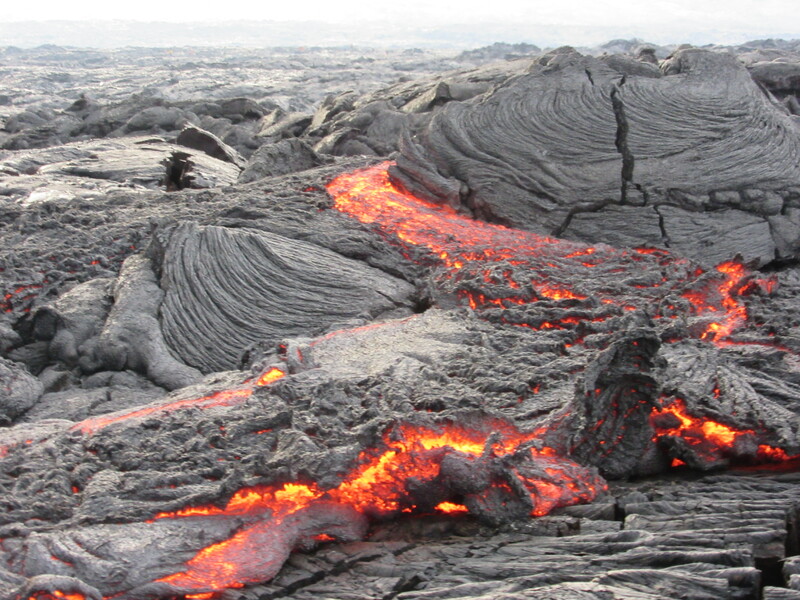 We will feel the heat as we get as close as safely possible to the active surface lava flows(volcano dependent). Please be advised that the lava flow changes daily and is not always accessible. 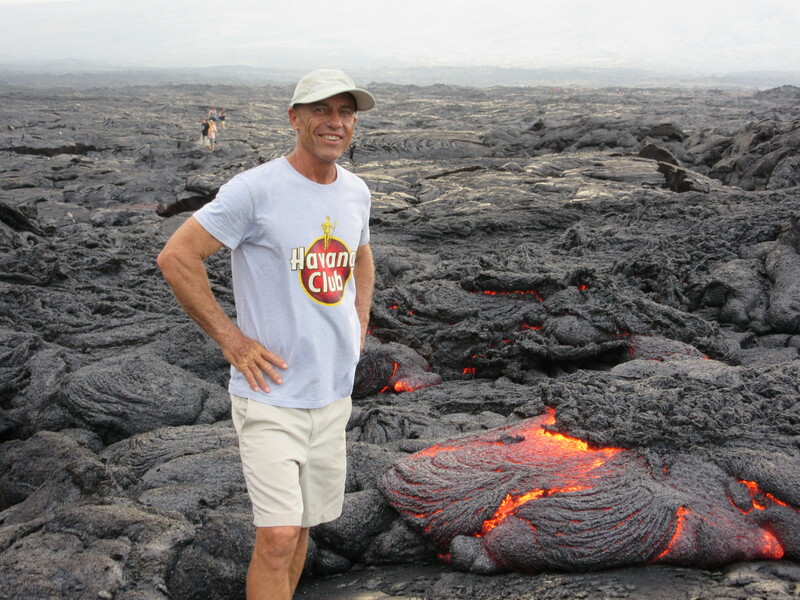 If Madame Pele decides that there are no surface flows on the day of your tour we will bike directly to incredible fiery Kamokuna ocean lava entry (9.6 miles biking roundtrip). Witness the Birth of New Land!!! Inclusions: All equipment (bicycle, helmet, backpack, rain poncho, headlamp, gloves, water, heavy snacks, an Professional Interpretive Guide, and Roundtrip Transportation from Hilo). The tour takes place on gravel roads with no van support. All participants must have the ability to bike and hike in and bike and hike out at medium group pace. If any participant feels that are physically unable to make it they are advised to turn around and head back to the start point as each participant is financially responsible to have them-self and the bicycle assigned to them evacuated back to the tour start point by the departure time. What to Wear: Completely enclosed comfortable shoes, long cotton pants, light color long sleeve shirt, hat, sunglasses, and sunscreen. Reserve your volcano bicycle tour now. Space and availability are limited. Place your reservations now. (Call or email us to arrange a tour at: 808-934-9199 or email us at: info@bikevolcano.com). Lava viewing is unpredictable and is not guaranteed. The active flow status is constantly changing. Click here for the current eruption status and lava flow update.